Get out while you can is Matt Bai’s advice to White House staffers and aides who think working for President Trump is still worth it. “But maybe you’ve seen that terrific movie “Get Out,” about the dude who finds himself stuck in a house full of deranged predators he thought were his friends? Yeah, I know this is hard to get your head around, but you’re the black guy. 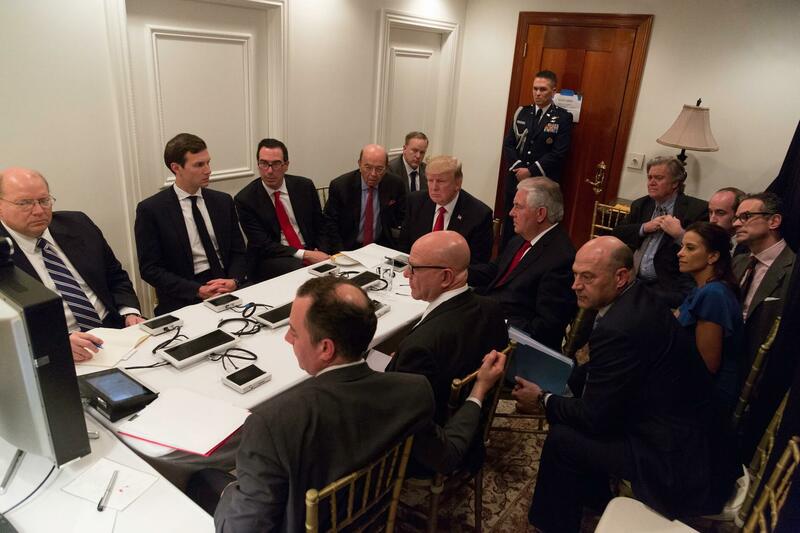 No way could a Trump White House have been a team of political, military, business, and academic all-stars brought together by a stable, visionary leader to address some of America’s most pressing problems. Rather, we always knew 45’s administration would be an unstable brew of family, sycophants, billionaires, cynical politicos, nationalist hacks, and rank B-teamers. While I feel sorta sorry for mid and low-level staffers torn between leaving and staying (perhaps compromising their careers with either choice), I also think they must’ve had some idea of what they were getting into. Trump could never have been more than exactly what we thought he was. Which explains why “Give him a chance!” from supporters and Fox commentators always rings hollow. We always knew what he would do with that chance. And we knew his base would ride or die with him. Perhaps because he brought them to the dance. Perhaps because they’re desperate for anyone who can do something to restore a collapsing middle class. Or perhaps because he thinks just like they do. Perhaps the best thing a White House staffer can do now (before getting fired or indicted) is leak as much as possible for the sake of whatever remains of our democracy. To that end, we’re getting to the point where we need fewer anonymous sources quoted in The New York Times or Politico. Now we need documents and recordings.